As solar panels have dropped in price, thousands of people have installed solar panels on their homes and businesses. One of the benefits of solar panels is that people can sometimes not only meet their electricity needs, but they can sell their electricity to the electrical grid. Selling the excess electricity to the grid is called “net metering.” Net metering is one of the hottest topics for utilities today because of the way the rates are currently set up in many places, net metering can be a massive subsidy for solar panel owners. As more solar panels are installed and other forms of on-site power generation, also known as “distributed generation,” are installed, it is critical to understand the technology involved and the policies around net metering to ensure fair and equitable electricity rates for all in the future. Traditionally we think of electricity being generated at a large coal, nuclear, hydro or natural gas power plant and then being carried by the utility and its power lines to homes and businesses for use in the surrounding area. This model is considered “centralized generation”. Power generated at one central location and sent via transmission lines for residential or commercial use. To understand net metering billing policies, it is helpful to understand the technology that makes net metering necessary. 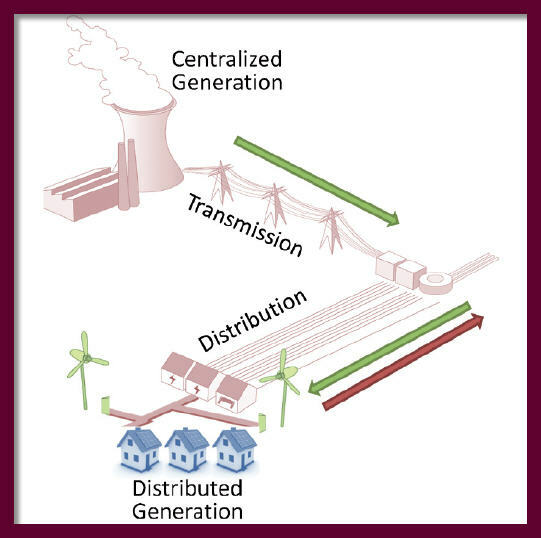 As opposed to centralized generation, “distributed generation” systems are small, on-site energy sources located at homes or businesses. While the specific technology used to generate electricity can vary, a large majority of the time this technology is rooftop solar panels. Once installed, these panels essentially convert a home or business into a small power plant generating electricity to help lower the owner’s electric bills. Customers with solar panel or other distributed generation facilities are able to draw electricity from the utility when their panels do not provide sufficient power for their needs (i.e. night time, overcast days, high usage etc.) and sell excess electricity back to the utility when panels generate more than is immediately needed. When this excess electricity is sent back to the grid, the electric company must then buy that energy from the customer with solar panels. The billing system that makes this transaction possible is known as ”net metering.” The customer is only paying the “net” total of electricity used from the utility minus electricity sold back to the utility. 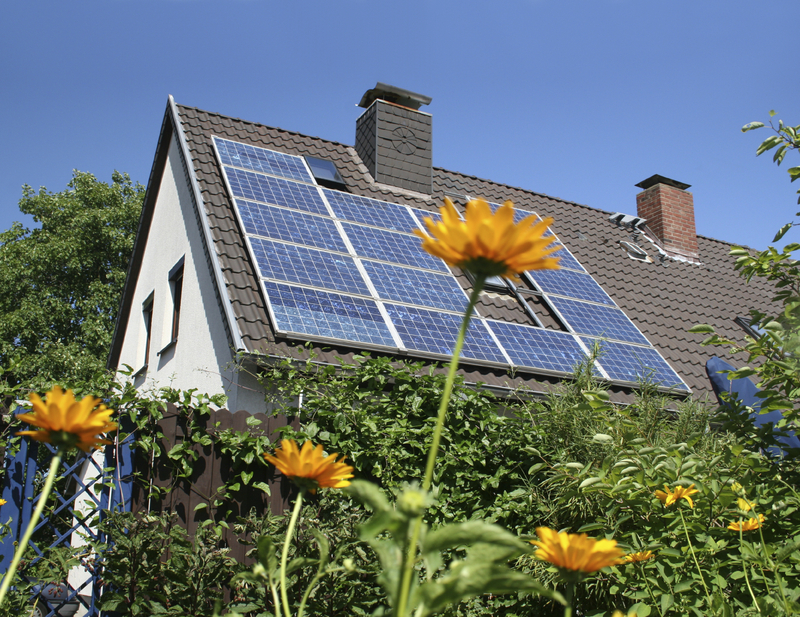 Net metering policies have been around for decades and the details vary from state to state. The Energy Policy Act of 2005 mandated that all public utilities must provide net metering options when requested by customers. Currently 43 states and the District of Columbia have adopted formal net metering policies. The most important issue with regard to net metering is the rate for the electricity that the utility pays the net metering customer. While there may be some variation, customers are generally reimbursed for their electricity at the full retail rate. For utilities, this means they pay much more for electricity from net metering customers than they do for electricity from power plants. An example of wholesale versus retail rates is useful in visualizing the problem. 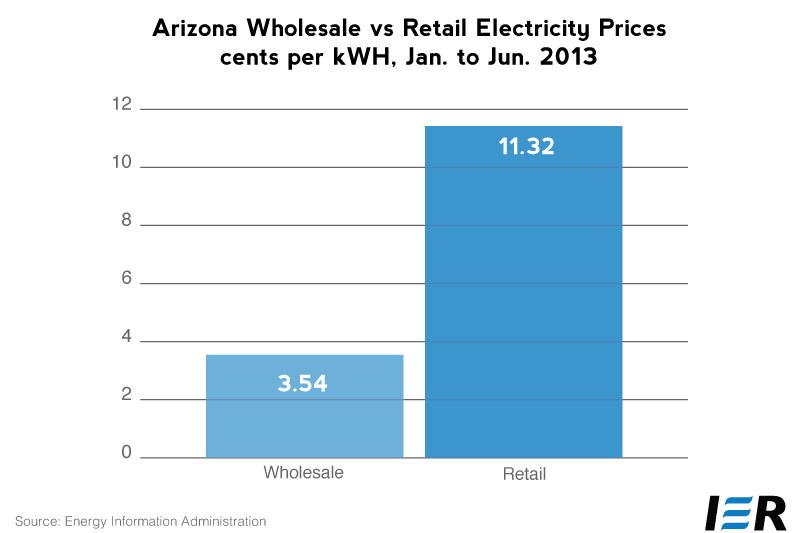 Table 1 shows the cost of retail versus wholesale electricity from the Palo Verde power plant in Arizona for the first half of 2013. According to this example, utilities would be forced to pay nearly 300 percent more for electricity than it could receive from the free market. Utilities must then pass these added costs onto non-solar customers to maintain reliable service. This cost shift from solar users to their non-solar neighbors has driven the various net metering debates. Finding a fair way to restructure these billing issues to promote long-term stability and grid reliability is essential. This practice of paying full retail price under net metering policies has been criticized as being “unfair”. Retail electricity rates include not only the wholesale cost of electricity but also the costs of planning, building, and maintaining the complex electrical grid. When solar panel customers receive the full retail price for generation electricity, they are not paying the utility for the use of the power lines, poles, meters and the complex technologies and services necessary to provide them with reliable, around-the-clock electricity. The concern is that those costs are then shifted onto their neighbors without solar panels, thus raising monthly utility bills. Forcing utilities to pay this higher retail rate to one group instead of securing energy at wholesale prices from local power plants creates a number of issues that multiply as more rooftop solar panels are brought online. Both utilities and environmental groups understand the current policies are must be reformed. Robert Harris, Executive Director of Sierra Club Hawaii explained, “The goal is to make sure more renewable energy can come online, and to develop a way to pay for it that is ‘fair and equitable’ for all customers.” In an effort to find a compromise that allows continued solar growth while ensuring fair billing for all ratepayers, states around the nation, including California, Colorado and Arizona, are trying to determine how to restructure net metering policies with an eye to the future. Along with the concerning cost shift of net metering policies, general issues with solar power and its impact on customers and the grid should also be considered. First, solar energy is intermittent. If it is a stormy day or the sun has gone down, solar panels will not work and will experience potentially dangerous power spikes. Current net metering policies tend to emphasize a solar customers role as an energy producer while failing to recognize its place as an energy consumer. It is important to remember that just because a homeowner puts solar panels on their roof, their home is still reliant on the grid for power most of the day. Solar expansion in Hawaii provides an example of how the unique and problematic nature of solar energy can affect all energy users. In September, new rules were implemented that aimed to manage the dramatic increase in rooftop solar installations throughout the island. The rule requires homeowners in Oahu to get approval from their local utility before placing panels on their roof. The problem is that in about 25 percent of Oahu, power circuits for the local utility have effectively maxed out their ability to safely accommodate more residential solar power. The utility warns that at the current rate of adoption, all circuits controlled by Hawaiian Electric would be at capacity for residential solar within six months. 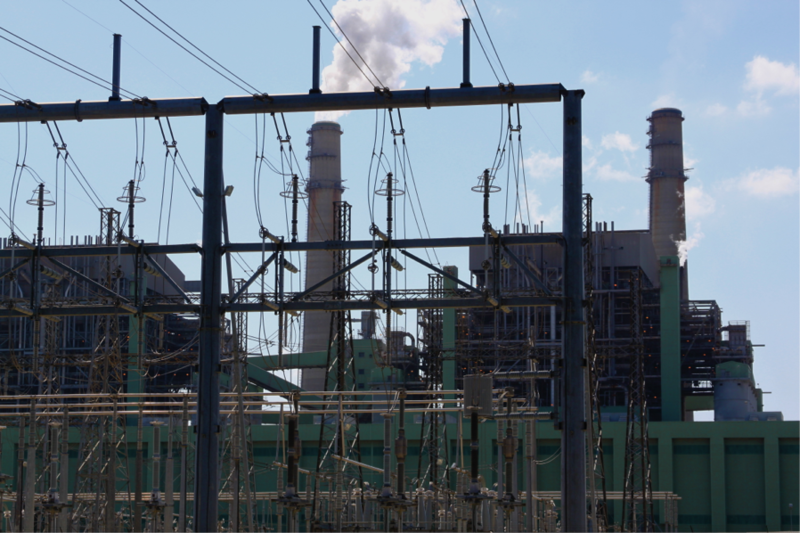 Adding more to the already taxed system could lead to voltage spikes that damage homes and appliances or put the safety of utility employees at risk. By 2014, almost 10 percent of the utility’s customers will be equipped with solar panels, and the electrical grid is feeling the effects. This high concentration of solar customers means that Hawaii is already experiencing the challenges of integrating intermittent renewables onto the electrical grid, but these challenges are spreading across the country as solar adoption increases. “The Grid was not built for renewables,” Trieu Mai, a senior analyst at the National Renewable Energy Laboratory, told the L.A. Times. Some officials fear we are nearing a point where grid operators pay renewable energy providers NOT to produce power. Rooftop solar supporters also claim that solar panels actually benefit the utility by outputting energy when it is most needed during “peak” hours. They claim that this limits the need for new power plants. A closer look at the facts shows that this is not the case. The following image shows actual California renewable production on November 9th, 2013. 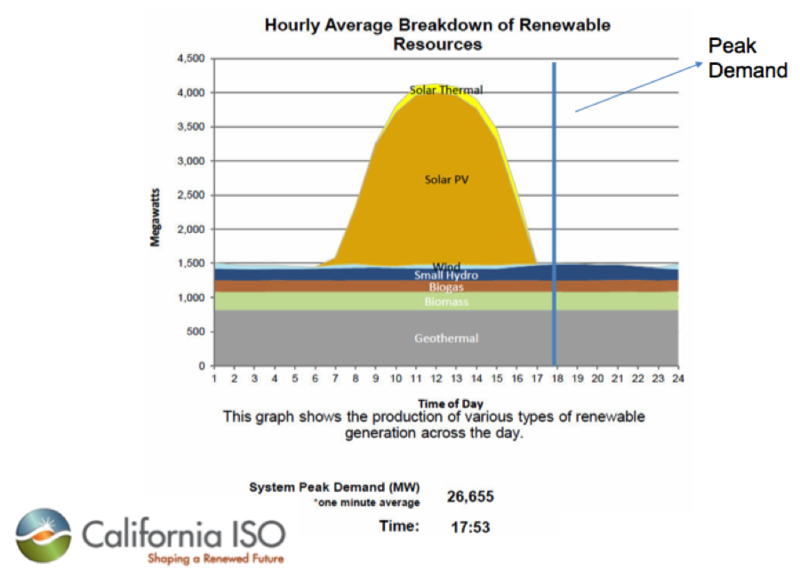 It is clear that by 5:53 pm when “peak demand” hits, solar PV provides little to no relief for the utility. The concern for the utility is that they must always match supply with demand. This means preparing for peak demand at any time, not just when the sun is shining. Net metering policies continue to concern utilities and consumers who do not want to foot the bill for their neighbors’ use of the grid. This article touches on the fundamentals of net metering. However, with any economic policy that distorts balanced markets, there is an array of associated issues that naturally arise. Understanding all potential impacts will be necessary to craft policy reforms that will ensure fairness and equity for everyone moving forward.